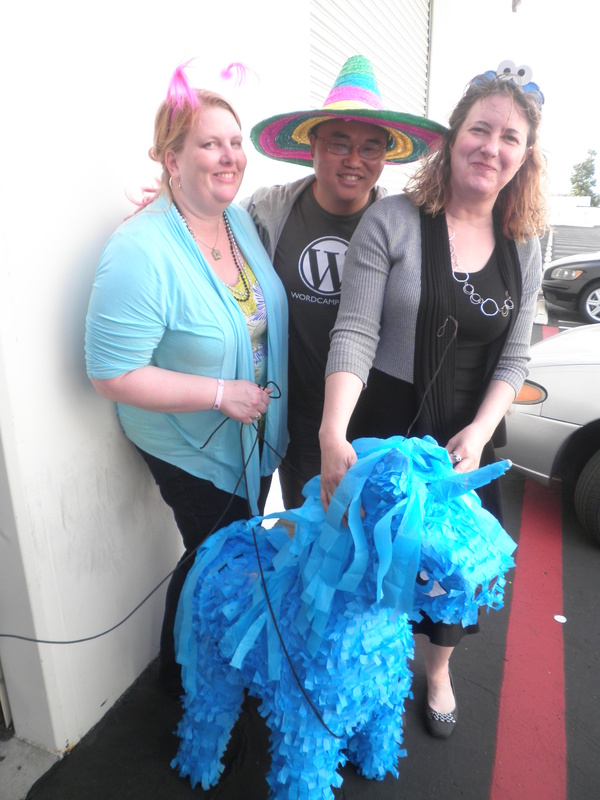 I’m a member of SoCal WordPress group in LA, and yesterday I carpooled to the Huntington Beach gathering for WordPress 10th Anniversary with Noel Saw and Crystal Ehrlich. What do I know about WordPress? I’m a blogger and I have five blogs and one website all on WordPress. When I discovered WP, I was fascinated how easy it was to start my own blog and use customized themes and features. Today you can Do It and Maintain It Yourself instead of paying someone to do it for you. 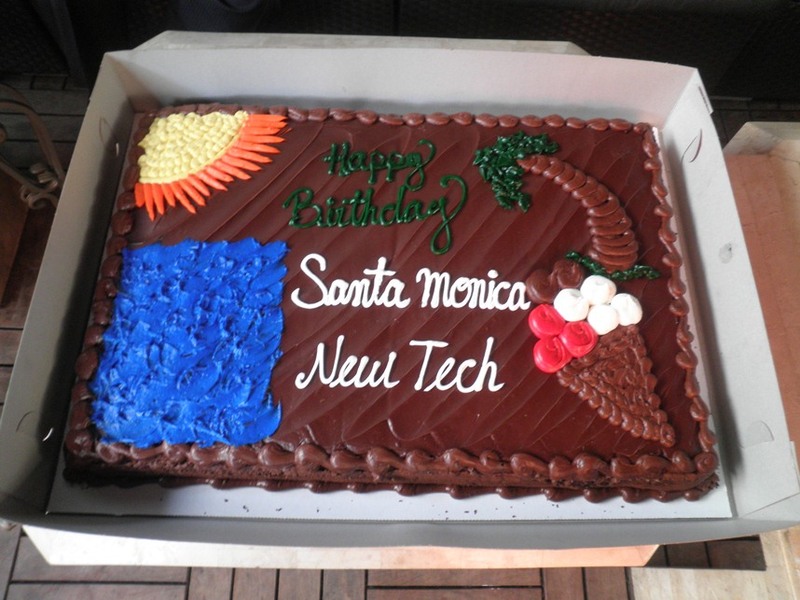 As the organizer of Santa Monica New Tech I praise WP as a great tool for entrepreneurs to create a mock up of their MVP (usually a landing page a nd a blog post). Finally technology is available for non-techies and empowers them to be creative! From Wikipedia: “WordPress is a free and open source blogging tool and a content management system (CMS) based on PHP and MySQL which runs on a Web hosting service. It has many features including a plug-in architecture and a template system. WordPress is used by over 14.7% of Alexa Internet’s “top 1 million” websites and as of August 2011 manages 22% of all new websites. WordPress is currently the most popular blogging system in use on the Web, powering over 60 million websites worldwide”. 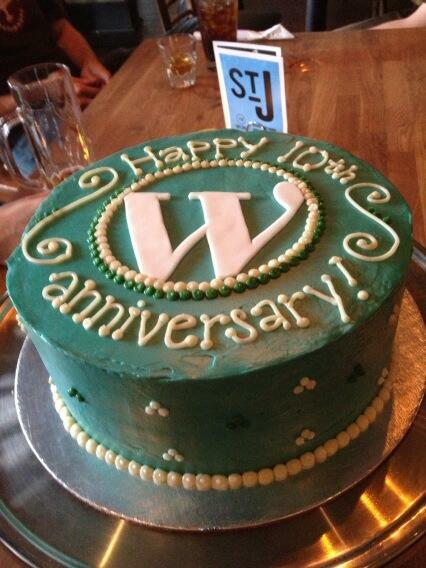 I had no expectations about this party, all I knew is that WordPress is turning 10! 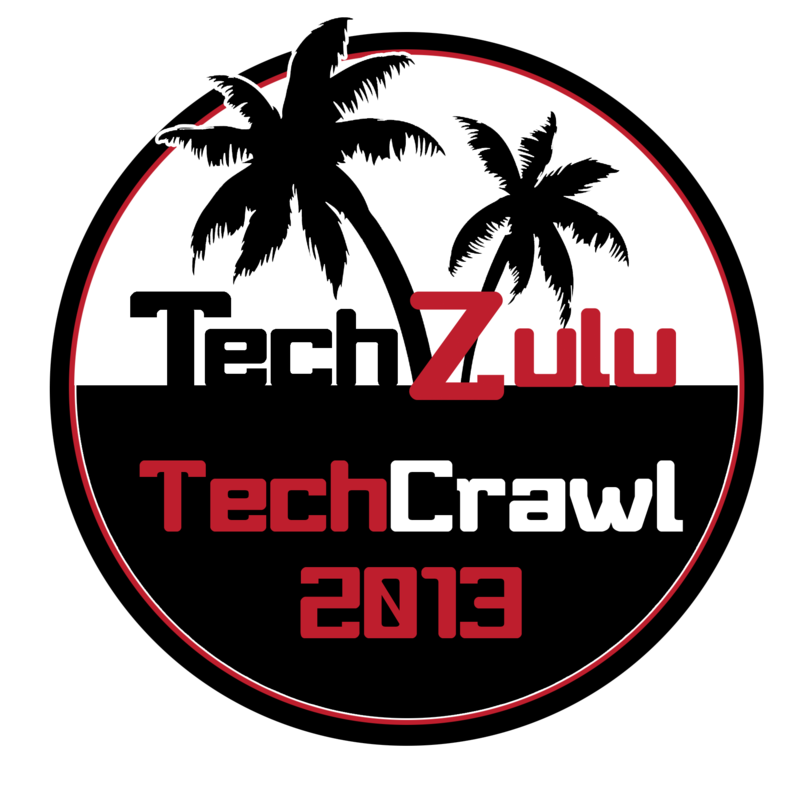 I signed up to attend this event on Facebook page http://on.fb.me/1avNk6g and Meetup page http://bit.ly/18rlN9D. 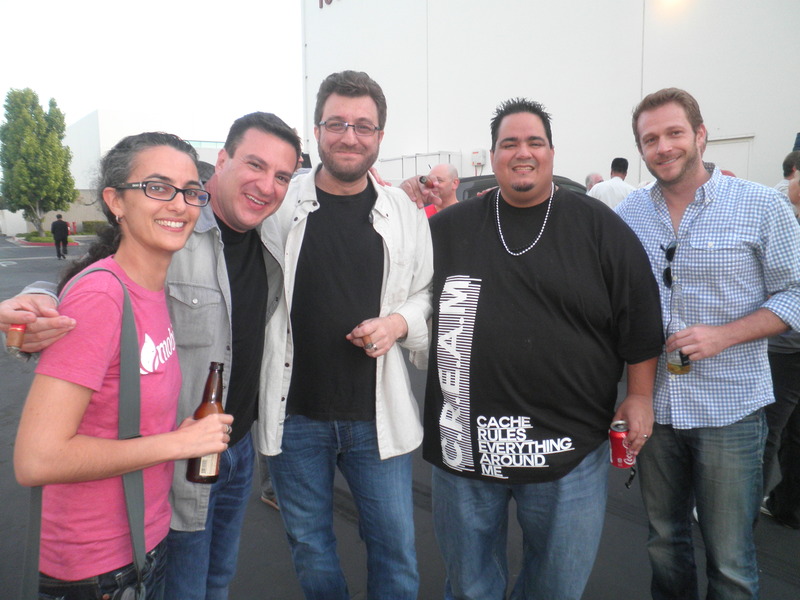 With no traffic in about 30 minutes we got to Zeek Interactive hosting the OC party for W ordpress 10th Anniversary. Over the next 3 hours there were about 60-70 people celebrating with Mexican food buffet style, margaritas, beer and live feed of #WP10 Tweets. 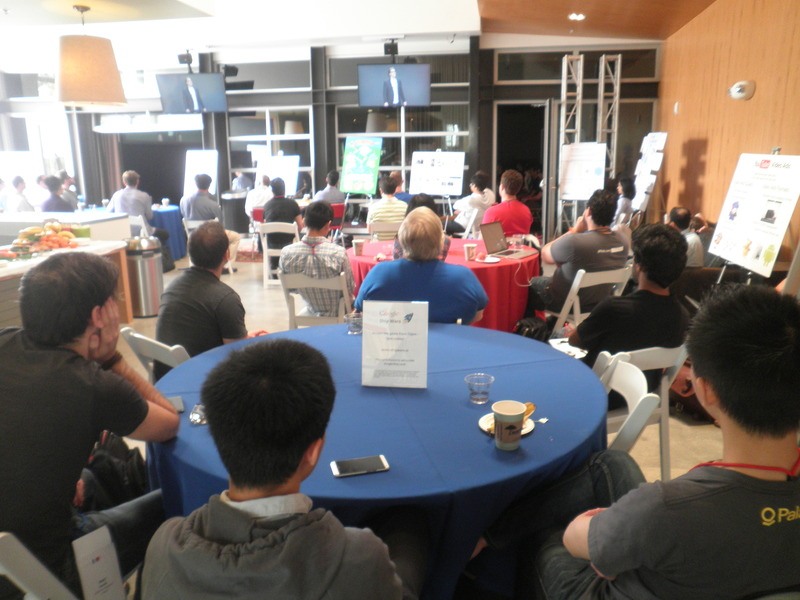 My picture was taken by Kevin @hbeach at the beginning of the event and I saw it immediately on the wall. 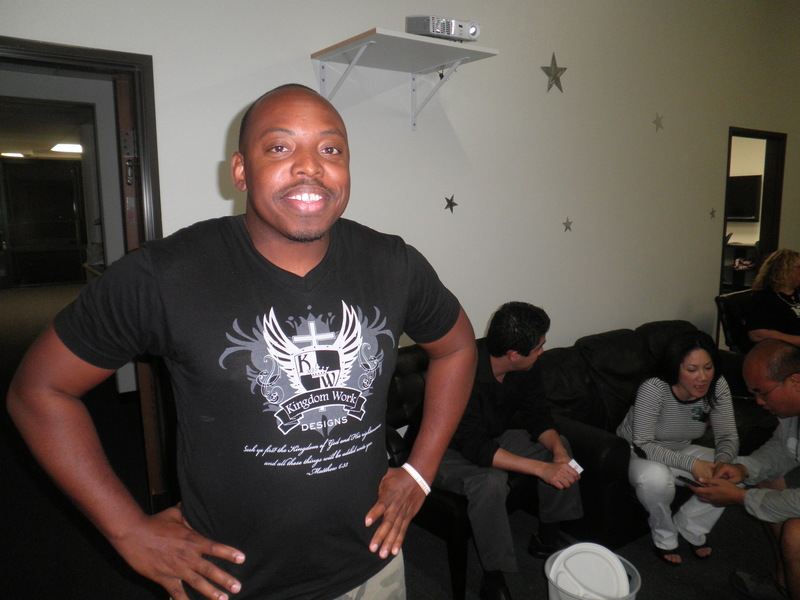 I learned there are at least 12 WP Meetup groups in South California, and I met almost all of the organizers of those groups at this party: San Diego – Chris Lema, SoCal – Natalie and Noel, Inland Empire – Verious, Pasadena – Alex, Orange County – Steve, Topanga – Lucy. 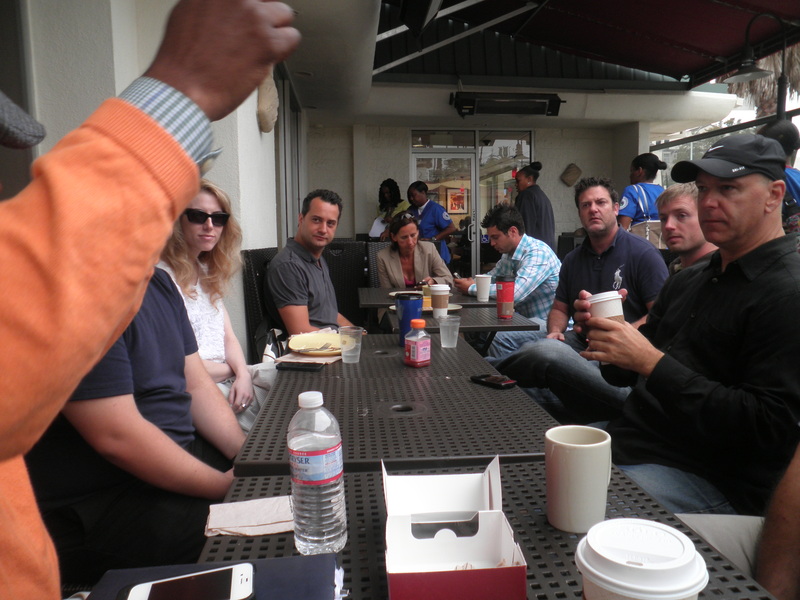 I was told that usually 40-50 people come to the average meeting, and about 100 to Santa Monica events. It was great to talk to people and hear why they love WordPress. Developers, bloggers, UX and graphic designers and consultants. The culmination of the night was the blue pinata unicorn that gave sweets to all attendees. When I came home, I did more research on WP groups: SoCal is the 7th largest WP Meetup with 1301 members in the US after NYC with 2716, Boston, SF, Dallas, Austin and DC, not counting other WP groups in the country. Then this morning I was c urious to find my own picture taken yesterday at the event. I went to http://wp10.wordpress.net/. I clicked about 110 times “Load More” before I found it and what I saw while clicking amazed me. If WordPress was a child, it would be the most loved and celebrated child in the world. At least yesterday. Hundreds of parties were thrown in its honor around the world: Tokyo, Indonesia, India, Pakistan, Switzerland, Austria, Montreal, Vancouver, Mexico, Mongolia, Buenos Aires, London, etc. and of course in the US: Boston, SF, LA, Texas, Sacramento, Seattle, NY, Houston, Orlando, and many more locations! I wowed at WordPress art : custom made cakes with beautiful designs like the one from Seattle. 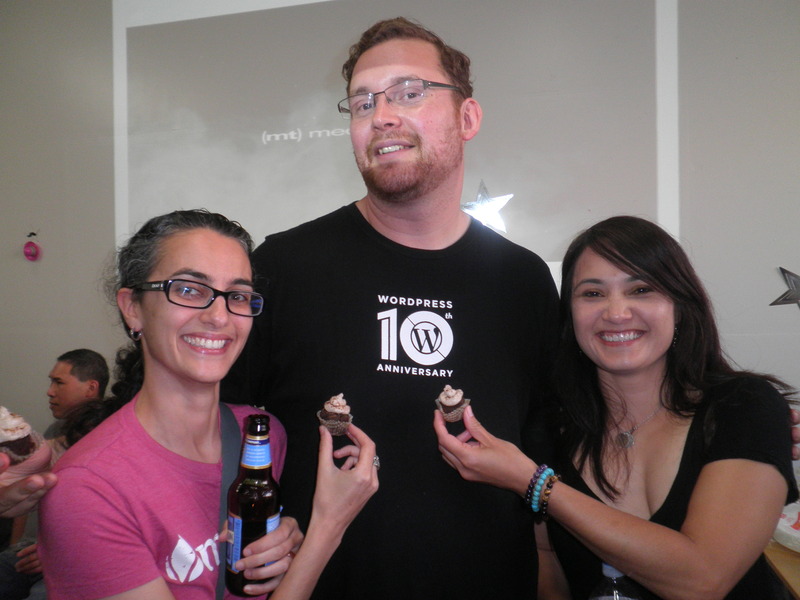 People were sending pictures and messages full of love and adoration: “I Love @Wordpress happiness #WP10” @jcvalencia10. I decided to count hashtags #WP10 at about 12:45PM PST on May 28, 2013. There were about ~1500 proper hashtags, never mind pics and messages that were not tagged by hashtags. I’m truly impressed with what WP achieved in just 10 years. In the next 10 years it will unite more people of different races, religions and nationalities and become more plug-in friendly. WordPress is a great example of technology bringing peace to humankind. Thank you, WP, and keep up good work! Swing by Cross Campus (820 Broadway, Santa Monica CA) to pickup your name tags. The first wave of crawlers will begin promptly at 6pm, be there early to pickup your name tags. Thursday, May 23, 6-11pm PT. The Crawl happens in waves with team leaders escorting groups from the first venue every 30 minutes, so you can arrive after 6pm and still enjoy the full experience. The 6th Annual Google i/o conference was attended by 6,000 people and its keynote was watched on youtube by 1mln people! 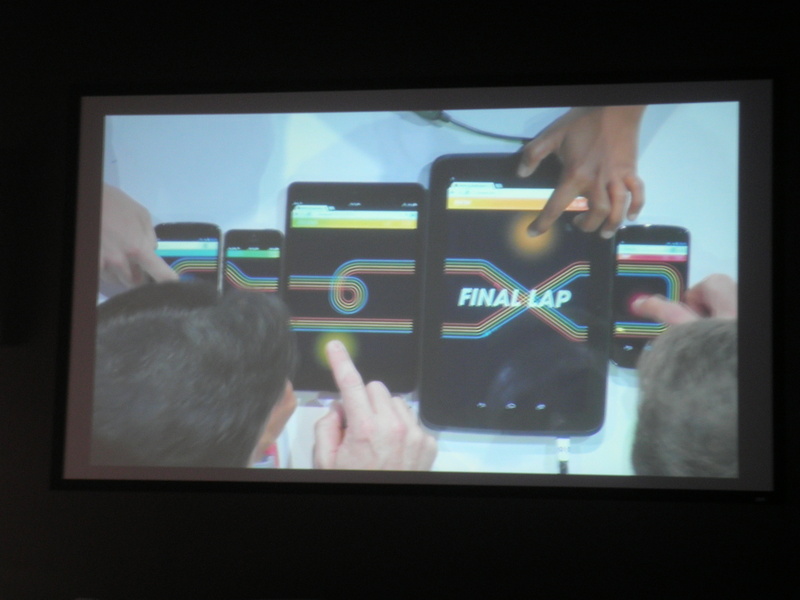 40,000 people were watching it at viewing parties, and one of them with 300+ people took place at Google I/O Extended at Google Los Angeles Venice office. The event was free of charge. 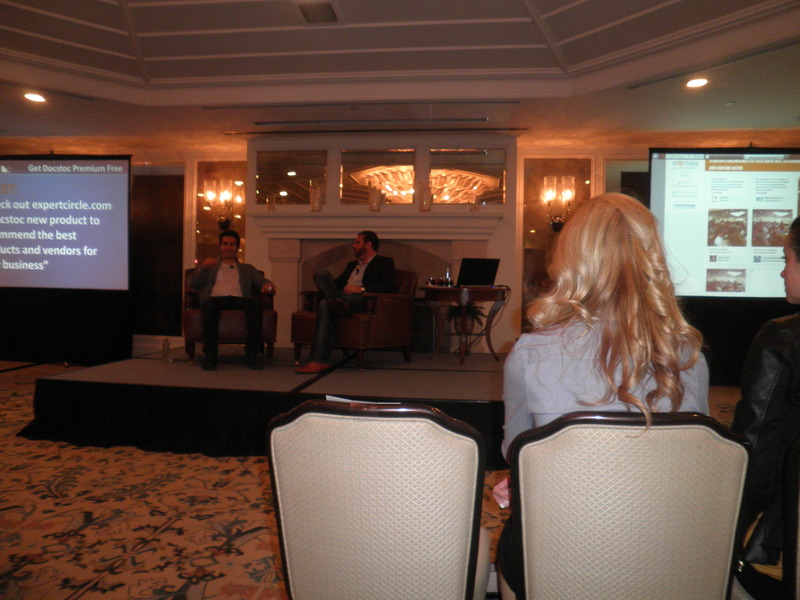 There were many interesting updates and new technology uncovered in music, video, eCommerce, etc. Google + released 41 new features, and more importantly new user friendly design with related hashtags and more recommendation when you flip the card. Image analysis goes deeper and you can slide to other content. The end of search as we know it. You ask computer and it will answer. Answer, converse and anticipate. Knowledge graphs, more languages, even more answers. 3D more exploration and ratings from my reviews, users’, friends’ and Zagat’s. Hence maps and offers, directions and navigation, with traffic incident alerts maps will gives you another route. Explore and discover! Create your own map with immersive imagery. All results are labeled on the map. Filter whats friends rated, their pics and descriptions, highlight all important places to me. Fly into a new restaurant with real 3D images inside. When you click on the street it will highlight and label all streets where to go to. Just click, the map is the user interface. 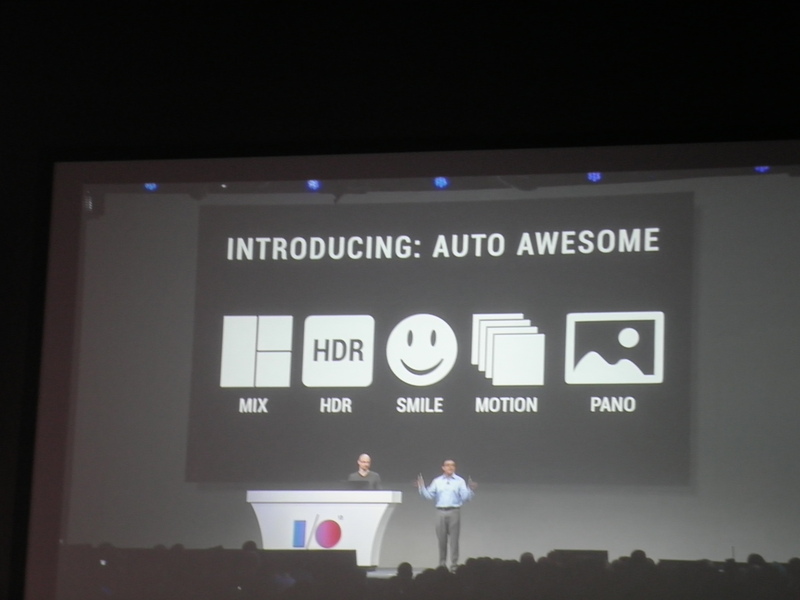 Also 3D view on the browser and pics from user uploaded photos. Integrated Google Earth and crowd sourcing. 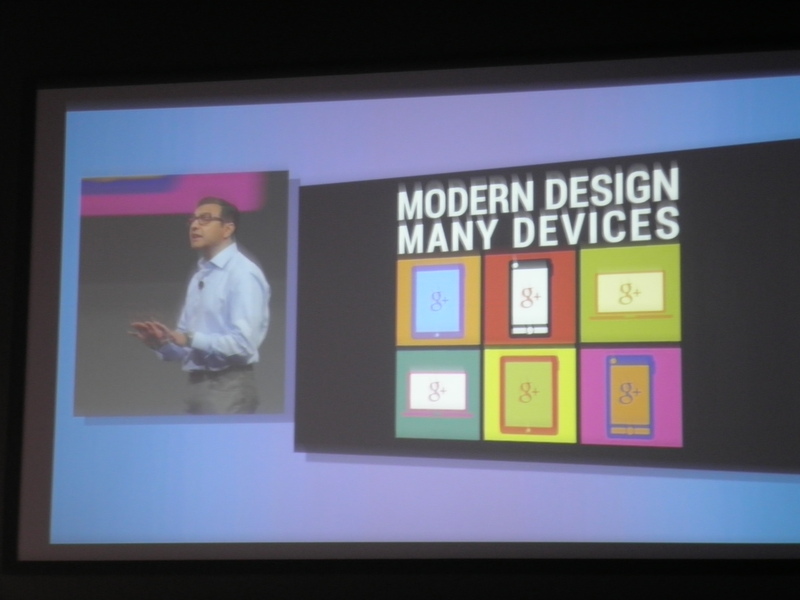 Larry Page spoke at the end of the keynote. He said that the list of things to do is longer every day. There are many opportunities and we are just scratching the surface of what is possible. Technology’s purpose is to free humans to do things we love (instead of farming and hunting in the past) and make us happiest at life. Tech is a tool. It is about problem solving and giving. It was my first time at the Google Venice office, and it was impressive. There were people wearing Google glass. There were 3 tracks and more than 15 sessions to attend. 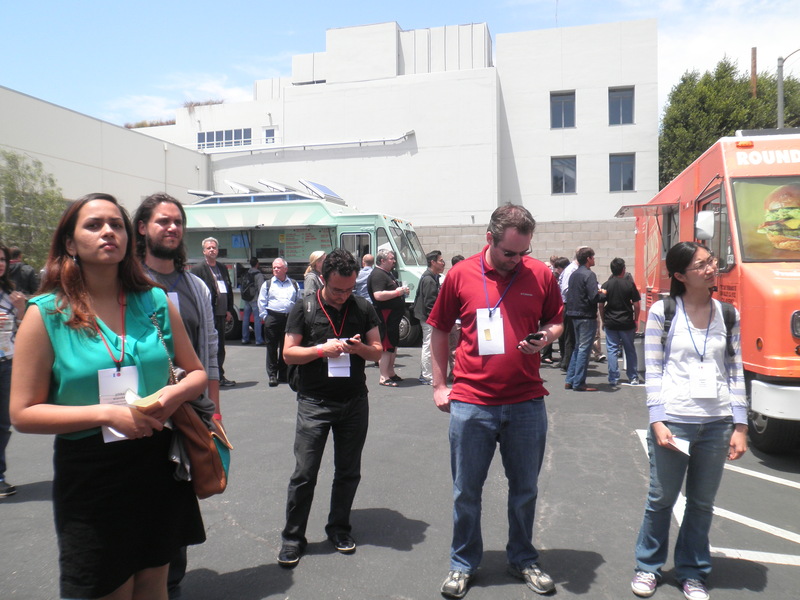 Free food and drinks (including Kogi Korean food truck), raffles and gifts (Google T-shirt, $10 Google play card and Andru, all Android phones charger in the shape of Android), and great people to connect with! Check out new movie “The Internship” about Google coming out on June 7, 2013. Our birthday party party took place on May 20, 2013 at 31Ten Lounge 6-11PM. 200 people came to celeb rate. There were free massages, happy hour prices, free vodka shots, beer pong games, bday cake, friends from La Tech happy hour, DJ, hockey game to watch and more. Our event sponsor was Elance.com. “Elance is where people Work Differently™. A pioneer in today’s freelance revolution, Elance is the world’s leading platform for online work. Today over 500,000 businesses and 2 million freelancers use Elance in 170+ countries. Over 1 million freelance jobs are completed”. 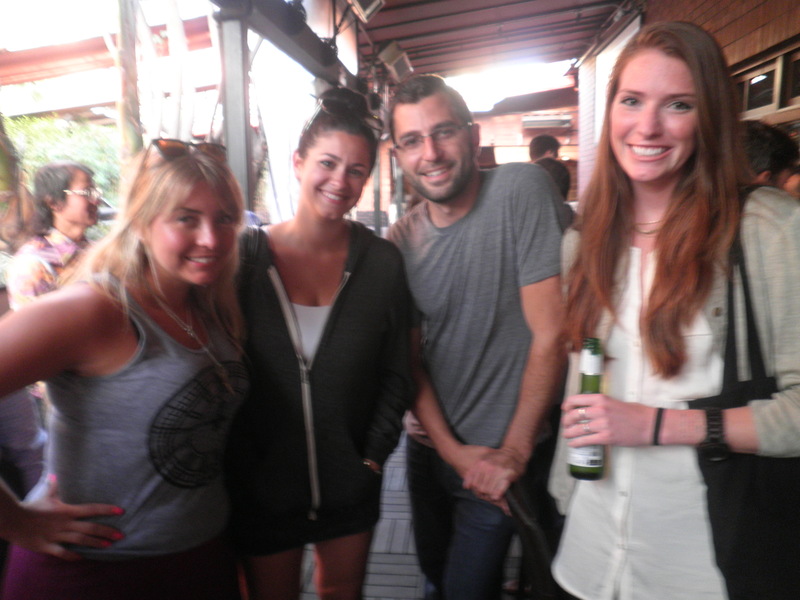 31Ten Lounge is “a great venue to have events. A beautiful indoor/outdoor Restaurant and Lounge located on the border of Santa Monica and Venice on Main Street. 31Ten serves an incredible menu from their renowned chef Michael Wilson (formerly of 5 Dudley and Wilsons). They also have a wonderful cocktail list served by an intelligent and beautiful staff. You can enjoy your evening either by a fire-pit open to the sky or on the dance floor only feet from the live DJ”. 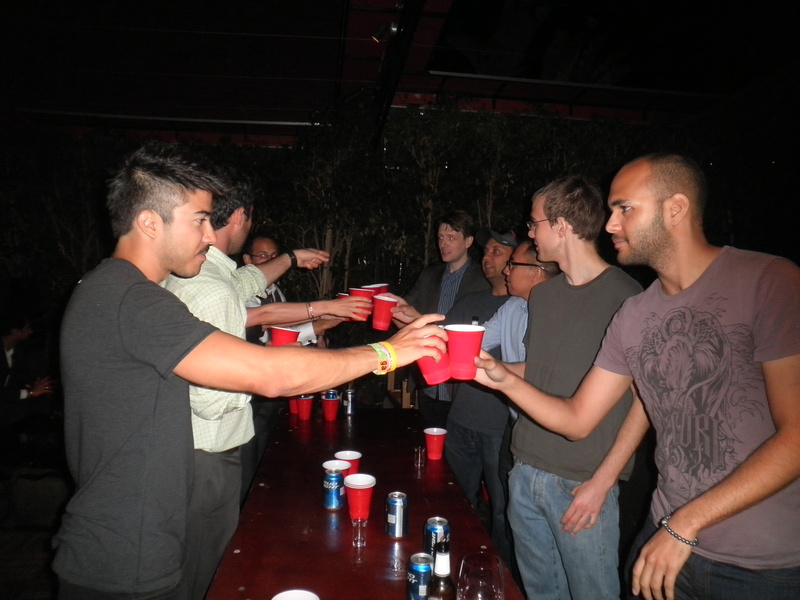 La Tech Happy Hour: “Imagine if there was a place, where at one table an entrepreneur meets her next $100,000 investor. A designer meets a new client, a web developer with a great internet startup. A PHP engineer meets a charismatic founder that excites him with his vision, so much so that he can picture leaving his day job for the exhilarating experience of working tirelessly for technology stock options that could be worth millions one day”. See you at our future events!